Nature and natural heritage will be one of three top priorities at the heart of new plans to distribute more than £1 billion of National Lottery money to the UK's heritage over the next five years, it has been announced. The newly styled National Lottery Heritage Fund, which is changing its name from the Heritage Lottery Fund, has announced it will prioritise funding for projects that focus on nature and the natural environment. There will also be a requirement for every heritage project that receives funding to be environmentally friendly. The fresh new identity and name is designed to thank National Lottery players and help people better understand the difference they make when they buy a ticket. This move underlines ambitions to see returns to good causes grow. 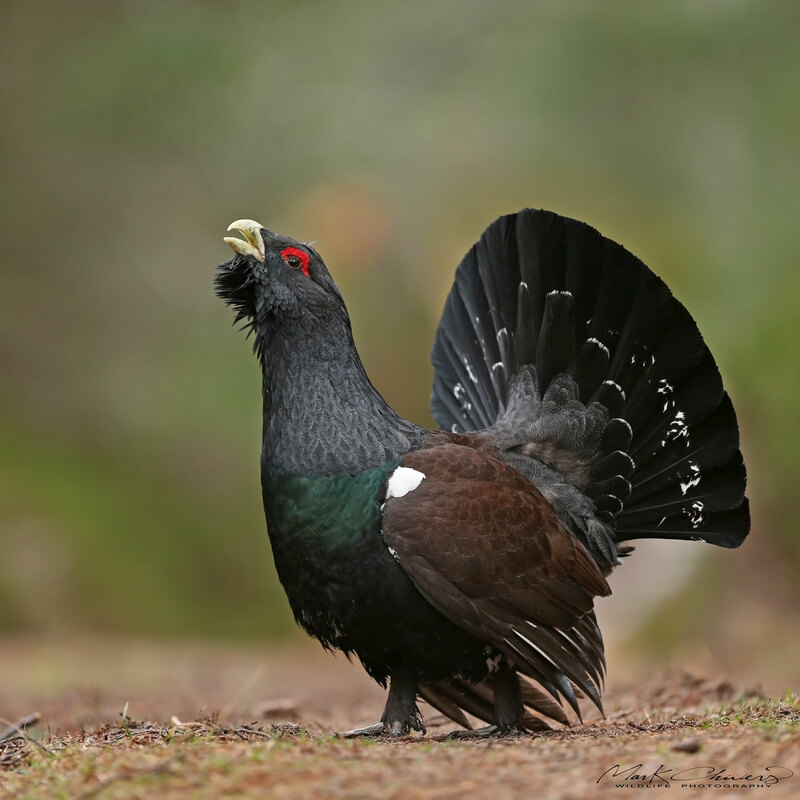 Western Capercaillie is one of the many species to benefit from Heritage Lottery Fund money in recent years (Mark Chivers). The National Lottery Heritage Fund consulted with more than 13,000 people, including National Lottery players and heritage organisations, on its priorities as the UK's biggest funder of heritage. The players were particularly keen to see more funding allocated for natural heritage projects, including landscapes and public parks. In recent years, Heritage Lottery Fund money has provided a great range of conservation projects with a much-needed cash injection. These include: £4.1 million to fund a three-year development at Slimbridge WWT, Gloucestershire; a £3.5 million grant for Orkney's wildlife; £346,500 for Scotland's declining Western Capercaillies; almost £50,000 for Puffins; and £30,000 for Scottish Corncrakes. The other priorities for The National Lottery Heritage Fund will be projects with a strong focus on local communities and those that ensure everyone is able to enjoy heritage. The Fund has also announced that a major devolution of decision-making across the whole of the UK is at the heart of its new plans. Decisions on around 80 per cent of all funding will be made separately in Scotland, Northern Ireland, Wales and three English areas – North, Midlands and East, and London and South. Britain's Puffins have also received lottery grants in recent years (Natalino Fenech). Ros Kerslake, CEO of the National Lottery Heritage Fund, said: "Over the past 25 years, money raised by people who buy National Lottery tickets has profoundly changed how we view and engage with the UK's exceptionally varied heritage. By putting people at its heart, it has helped our wonderful buildings, iconic landscapes, cultural memories and traditions and native species not just survive, but thrive. "Over the next five years, The National Lottery Heritage Fund will inspire, lead and resource the UK's heritage, distributing more than £1bn. So we will be making more decisions on funding locally and focusing on the heritage that really matters to people, creating jobs, bringing economic prosperity and improving people's lives right across the UK."